On this re-roofing job for Chalmers we had to work in with the company to ensure that they where still able to operate while we worked. 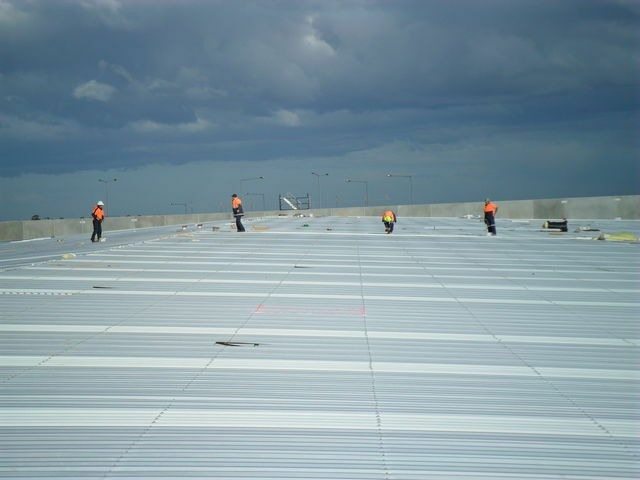 We installed this roof on Bunnings in Adelaide in mid 2011. C and L Clancy Roofing can re-roofing your industrial or commercial building with minimum distruptions to your workplace and production. Our commercial building licence enables us to not only re-roof your building but also extend or alter the roof structure. 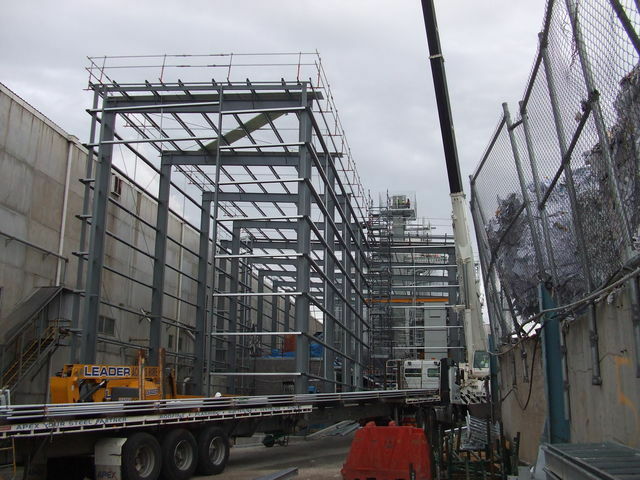 This is the before picture of a building we roofed and cladded for Visy Group in mid 2011. This is the after picture of the Visy building. 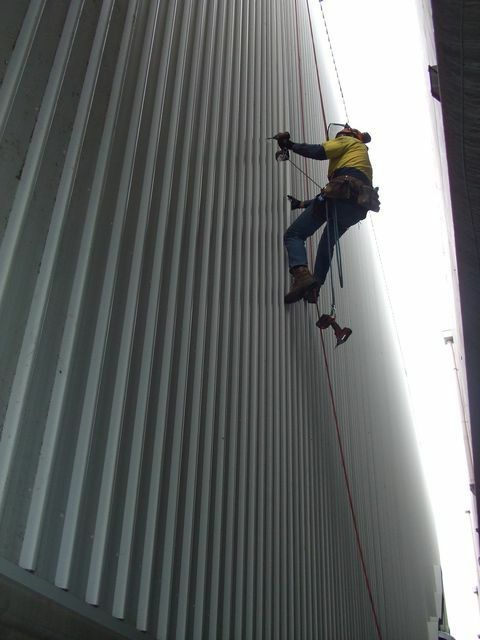 For this site access was tight and we had to work around the day to day operations of the company. This is a good example of the restrictive access we had at Visy. Each end was blocked off so a boom lift was not an option. 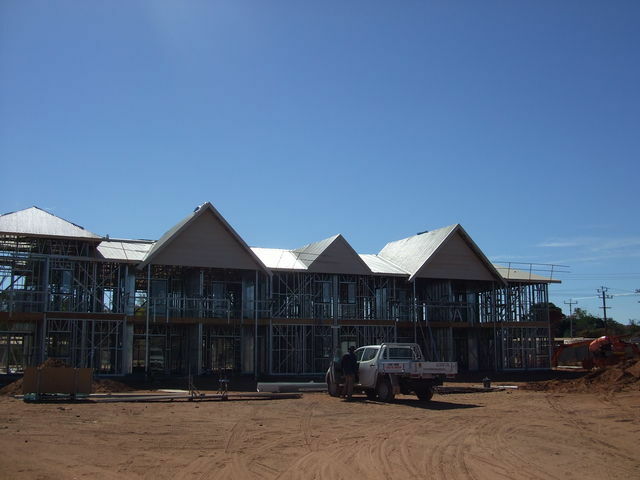 This is one of three multi unit buildings we roofed for the Fresh Water Resort in Kununurra, Western Australia during 2011. 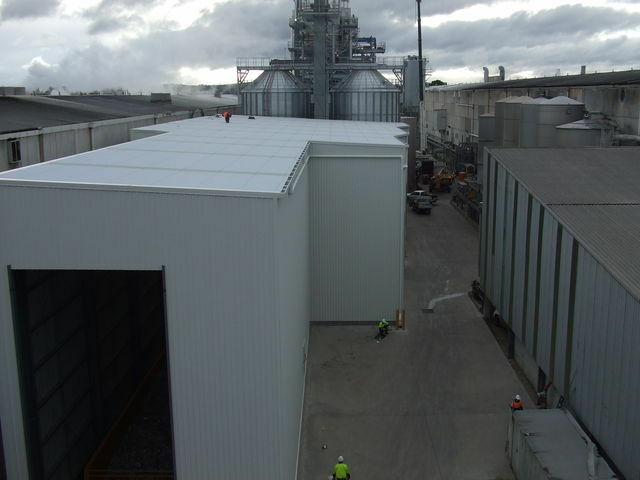 We put the wall cladding and roof on these factories on Northgate Dr, Thomastown , For ITN Developments in 2008.